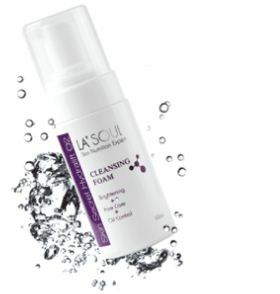 La’Soul Hydralift O2 Cleansing Foam is rich and mild foam gently removes dead skin and promotes the skin cell generation, thus gives clear skin tone. 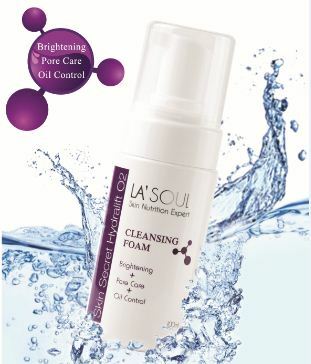 SKU: SNE15 Categories: Promotion, Beauty, Face Cleanser Brands: Lasoul. 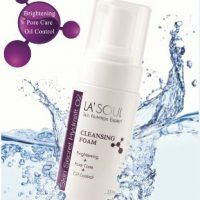 ‘ asoul Hydralift O2 Cleansing Foam is good to increase absorption of the active ingredient by removing waste in the skin. By using natural derived surfactant, it rapidly forms fine and rich foam cushion. Aloe Vera which has skin soothing effect, gives vitality to skin, rapidly soothes the skin irritated by UV, and controls the oil & water balance. Catechin content of green tea helps controlling sebum (oil), and sterilizing. By shrinking pore size and removing blackheads, it makes bright and smooth skin. Anti-oxidant ingredient (Fullerene) and hibiscus flower’s astringent effects with pore care effect and gives clear skin tone by gently removing dead skin and promoting regeneration of skin cells. Skin Sweeper – The Skin Secret Hydralift O2 Cleansing Foam is rich and mild foam gently removes dead skin and promotes the skin cell generation, thus gives clear skin tone. Suitable for all skin types, especially for dull, shallow and aging skin. Deeply cleanse and hydrate your skin while delicately removing all traces of make-up and surface impurities with our sumptuous foam cleanser. 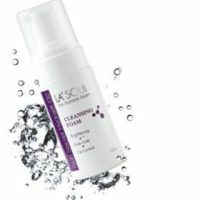 Natural plant extracts are at the heart of the water-activated mousse formulas purifying and soothing action, which leaves the skin refreshed and smoothed. Perfect for all skin types. Expert tip: in a pinch, a touch of foam cleanser can be used as shaving cream! Even if you don’t wear make-up, your skin is still faced with pollution, dust and bacteria throughout the day. Cleansing is therefore a vital part of your daily skincare regime as it rids the skin of impurities. For a quick and convenient cleanse, use Skin Secret Hyfralift O2 Cleansing Foam. You can have many different types of skin and these changes can due to hormones, stress, allergies, sun damage and climatic conditions. As a golden rule, always treat your skin conditions, not your skin type. It’s best to do some kind of light cleansing, even if it’s just splashing with water or using a mild cleanser. This will remove any dead skin cells, oil buildup, sweat, and other pillow grime you’ve accumulated overnight. Use 3-4 pumps of cleansing foam on clean hand. Spread and gently massage thoroughly over face.